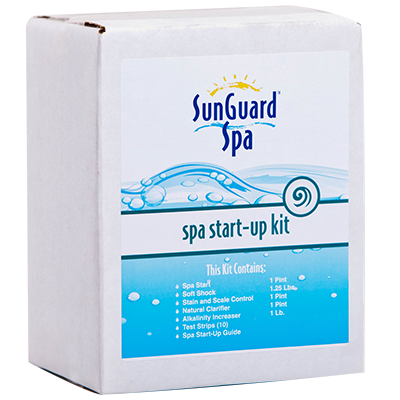 A convenient kit containing everything you need to get your spa started and keep it running. 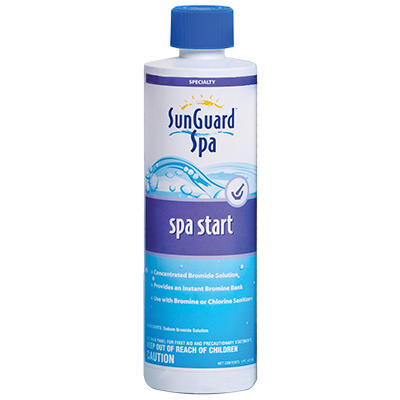 Provides an immediate residual of bromine in a freshly filled spa. Add 1oz. per 250 gallons as a weekly maintenance dose. Compatible with chlorine and bromine sanitizing systems and should be used with a chlorine or bromine sanitizer. Prevents stains and scaling caused by heavy metals and calcium in hot water. Formulated to work well at higher temperatures and is can be used as a rust control agent. 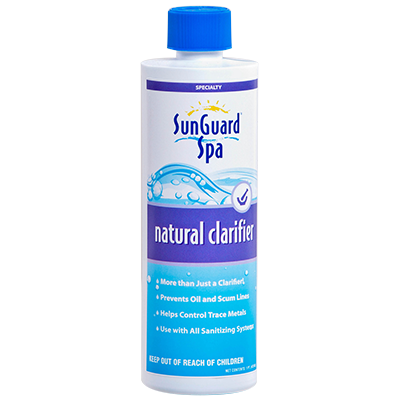 Recommended for clarifying balanced water in spas. Works by coagulating small particles and trace metals to be removed through the filtration system. Add 1oz per 500 gallons, be careful not to overdose; if foam does not subside, retreat in 10 minutes. Eliminate foaming in spa water without altering the water chemistry. Extra strength all-purpose cleaner for use of spa shells and fittings. Leaves no residue and has a pleasing citrus scent. 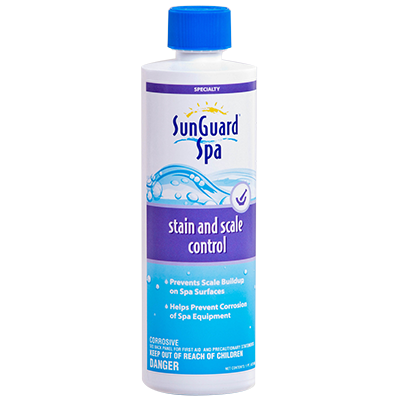 Do NOT add to spa water; product may stain carpeting and other fabric surfaces. 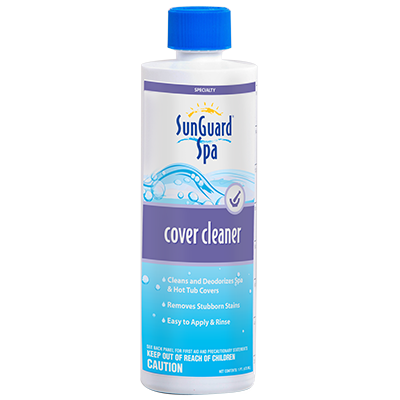 SunGuard Spa Cover Cleaner can also be used on vinyl or plastic patio furniture, umbrellas, awnings, boat covers, solar blankets, and other deck accessories. 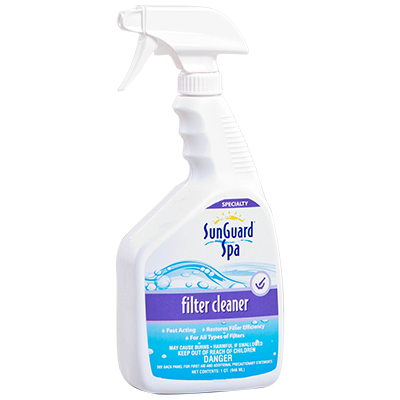 Effective at removing oil and grease from the filter and its elements. Promotes better filtration and extend filter cycles as well as clean and deodorizes cartridges. Easy to apply using the spray bottle. An enzyme water treatment that will break down organic matter that may contaminate spa water. Add 1oz. per 500 gallons; it is safe to swim immediately after adding SunGuard SpaZyme. 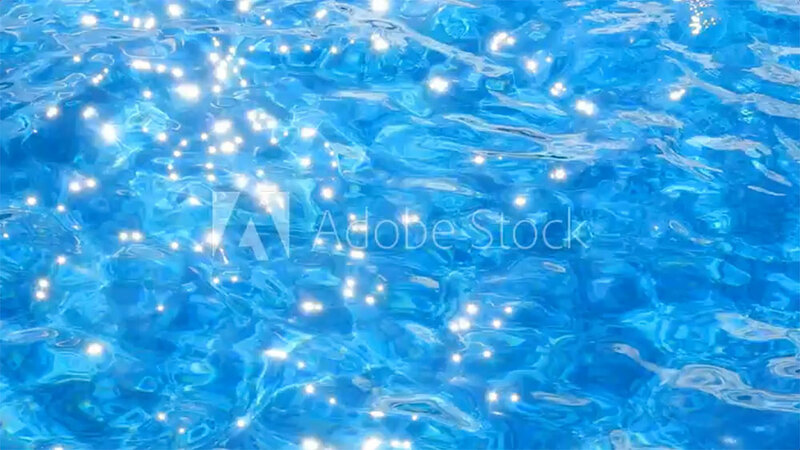 Restore sparkle to the water.